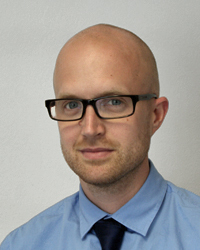 Dr Richard Rhodes (BA MSc PhD MCSFS) is a forensic consultant at J P French Associates. He has carried out research into the effects of aging on the voice in forensic contexts and assessing the strength of non-contemporaneous evidence statistically, and on cognitive bias in relation to forensic speech science. He is a member of the International Association for Forensic Phonetics and Acoustics (IAFPA) and sits on the executive committee as treasurer & membership secretary. Dr Rhodes has worked on over five hundred forensic cases, including a range of high-profile and international proceedings. He works for both prosecution and defence and provides evidence as an expert witness in court in the areas of forensic speaker comparison, transcription and disputed utterance analysis, as well as other miscellaneous cases. Hughes, V. & Rhodes, R. (2018) Questions, propositions and assessing different levels of evidence: Forensic voice comparison in practice. Science & Justice, 2018. Rhodes, R. (2017) Aging effects on voice features used in forensic speaker comparison. International Journal of Speech, Language and the Law, 24.2: 177-199. Rhodes, R.; French, J.P.; Harrison, P.; Hughes, V.; Kirchhübel, C. & Wormald, J. (2017) Which questions, propositions and relevant populations should a speaker comparison expert assess? IAFPA conference, Split, Croatia, 9-12 July. French, J. P.; Harrison, P.; Kirchhübel, C.; Rhodes, R. & Wormald, J. (2017) From receipt of recordings to dispatch of report: Opening the blinds on laboratory practices. IAFPA conference, Split, Croatia, 9-12 July. Rhodes, R. (2016) Cognitive bias in forensic speech science: risks and proposed safeguards. IAFPA conference, York, UK, 24-27 July. Harrison, P. & Rhodes, R. (2016) The ‘black box’ misnomer. IAFPA conference, York, UK, 24-27 July. Kirchhübel, C.; French, J. P.; Rhodes, R.; Harrison, P. T.; Bhagdin, A. S. & Wormald, J. (2016) Understanding of forensic speaker comparison conclusions in the legal setting. IAFPA conference, York, UK, 24-27 July. Wormald, J.; French, J. P.; Harrison, P. T.; Kirchhübel, C.; Rhodes, R. & Watt, D. (2016) Voice quality in Panjabi English: Sociophonetic and forensic considerations. BAAP conference, Lancaster, UK, 30 March – 1 April. French, J. P.; Harrison, P. T.; Kirchhübel, C. & Rhodes, R. (2015) Standards for Forensic Speaker Comparison samples. Methodological Guidelines for semi-automatic and automatic speaker Recognition for case assessment and interpretation; Meeting of the ENFSI Monopoly project in Warsaw, Poland; 22nd – 23rd September. Rhodes, R. (2014) Cognitive bias in forensic speech science. IAFPA conference, Zurich, Switzerland. Rhodes, R. (2013) Changes in the voice across the adult lifespan: Formant frequency-based likelihood ratios and ASR performance. IAFPA conference, Tampa, Florida, USA, 21-25 July. Rhodes, R. (2012) Presenting linguistic and geographical data using Tableau, Advances in Visual Methods in Linguistics, York, 5-6 September. Rhodes, R. (2011) Changes in the voice across early adulthood, IAFPA conference, Vienna, 24-28 July. Rhodes, R. & Setter, J. (2009) Using the formant dynamic approach to forensic speaker comparison in a case of voice disguise, IAFPA conference, Cambridge, 2-5 August. Dr Rhodes has delivered lectures, seminars and practical analysis sessions for undergraduates and postgraduates on linguistics and forensic phonetics at the University of York and has given training on forensic phonetics and acoustics at the International Summer School in Forensic Linguistic Analysis at Aston University.